The Indiana Utility Regulatory Commission has found MetroNet responsible for 10 of the 20 incidents it investigated involving damage to natural gas lines in Carmel and Fishers in recent weeks. The damage occurred as MetroNet’s subcontractors worked to install underground fiber optic lines. Six of the incidents were found to be caused by utility companies not marking the gas lines properly as required by law, and another four incidents did produce enough evidence to show a law was violated. 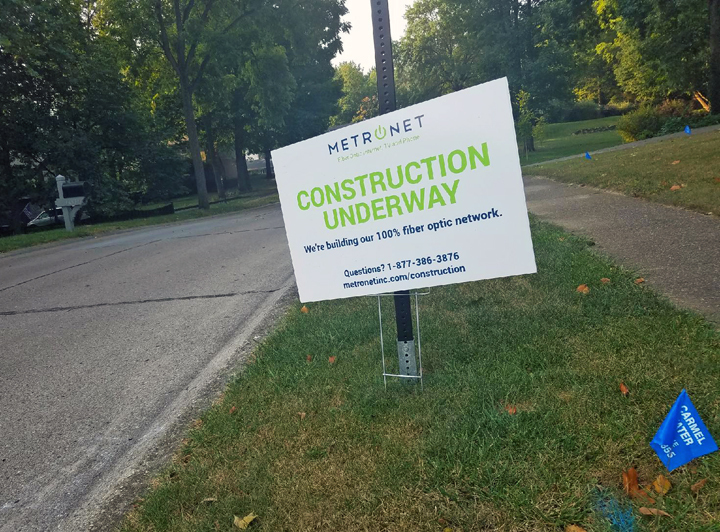 The City of Carmel on Aug. 30 ordered MetroNet to halt work until the IURC investigation, initially requested by the City of Fishers, was complete. Fishers also halted MetroNet digging in late August, and the City of Westfield did the same thing after damage to a gas line Sept. 8 resulted in gas leaking into the sewer system. As a result, nearby homes were evacuated and electricity in the area was turned off until the gas line was repaired.